As Black History Month comes to a close, discussions are focusing again on the obstacles which stall black and ethnic minority (BAME) lawyers at mid-ranking levels in private practice and in-house. 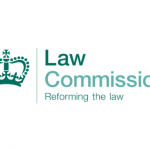 The 2017 Diversity League Table (DLT) study commissioned by the Black Solicitors’ Network (BSN) found that 20 per cent of the graduates entering the legal profession are of BAME background. This figure has doubled over a ten year period. In short, the diversity initiatives around BAME recruitment are working. However, inclusion at the top of the profession remains a work in progress. The level of attrition is brutal; by the time BAME talent reaches the senior ranks of the profession, the DLT study shows that only 8 per cent of partners have a BAME background. The numbers of senior in-house counsel of BAME origin at multinational corporations and financial institutions in the UK also remains stubbornly stagnant. Verna Myers, an American social activist, explained the distinction between diversity and inclusion in memorable terms – “diversity is being invited to the party, inclusion is being asked to dance”. Inclusion is eventually all about sponsorship. Mentors can advise how to harness technical proficiency with the requisite emotional resilience necessary for success. However, it is sponsorship (and the networks that it gives access to) which ultimately determine how fast one climbs up the career ladder. Junior BAME lawyers increasingly cite the lack of sponsorship as one of the principal barriers to advancement in their careers. Sponsors, in the words of the Harvard Business Review, are “senior-level leaders who elevate a protege’s visibility within the corridors of power, advocate for key assignments and promotions for them, and put their reputation on the line for the protege’s advancement”. The significance of a sponsor for a BAME candidate seeking promotion cannot be understated. The decision making processes for senior promotion in many organisations are based in part on subjective criteria which allow managers to exercise their discretion. The number of BAME decision makers in the room, who can advocate on behalf of these candidates, is typically small. An unconscious bias or affinity bias may lead managers to make decisions which are contrary to the inclusive culture which their organisation is often seeking to espouse. The sponsor’s role in such discussions is critical to preventing this bias from prevailing. Where performance standards with other candidates are equal, BAME candidates may lose out where they have no embedded relationships with the other key stakeholders in the C-Suite. Sponsors are at their most effective in providing access to senior leaders and networks which BAME lawyers find harder to penetrate. BAME leaders often have significant demands made upon their time by human resources divisions to support diversity and inclusion initiatives. It is often forgotten that in the context of sponsorship of exceptional BAME performers, the ethnicity of a sponsor is largely irrelevant. The issue of race is more likely to be discussed with mentors than sponsors. BAME lawyers in the City now have access to an increasingly number of formal and informal mentoring programmes with senior lawyers of similar ethnicity. One example of this is the UK BSN “Pathways to Progress” mentoring programme for BAME lawyers in the Square Mile which provides a forum for issues of race, diversity and inclusion to be discussed. The legal profession is slowly winning the war on the recruitment of BAME talent, in Myers’ words, we are “invited to the party”, but the battle is being lost on retention and promotion. The frontlines of this battle need to be fought by senior lawyers in organisations sponsoring and championing BAME talent at precisely the point at which it is most vulnerable, middle management; where relationships become as important as performance. 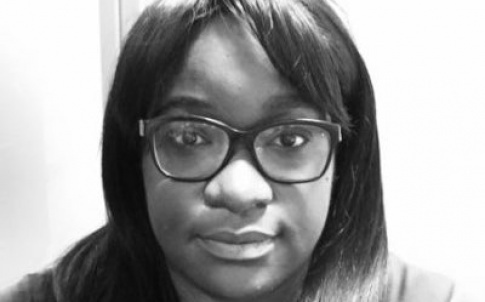 Musonda Kapotwe is a director in the markets legal division of Citigroup and a committee member of the UK Black Solicitors’ Network.